Nick Denton may be evil (although I don’t think so), but he is surely a genius. My dad (a retired Army General and career Army officer) told me many times that you must lead people by example. So Nick had a property, Valleywag, that he thought was underperforming. Instead of hiring someone to take it over, he jumped in and did it himself. As far as I know, its the first time he’s done that in his oversight of 14 blogs, which did an aggregate of 90 million page views in November. It was a risky move. What if he took over and traffic went down? He’d lose respect from his entire team. But the opposite has happened. November traffic was up almost 100% from October traffic and the way December is going, it’s going to be up 50% from November. 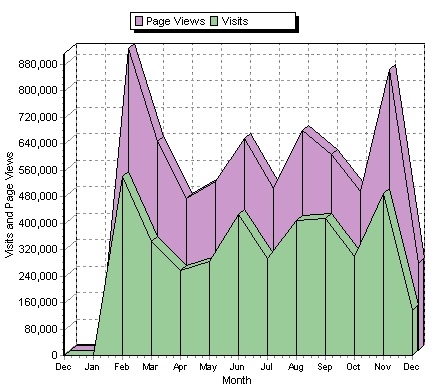 That’s going from less than 500,000 page views in October to about 1.2mm page views in December (current course and speed). Under the old regime, I never read Valleywag. Now I read it every day. Sure its still snarky. Sure its still evil. But its relevant. Nick is reporting on real stuff, with classic Gawker attitude. He’s a genius. He’s turned around a failing property. He’s gained props in his organization for being able to walk the walk. And he’s pissed off all of silicon valley.